Mik was a little leery about the Season's Greetings exhibit at the United States Botanic Garden being something he would love as I kind of lost my credibility from the Union Station outing the other day. However, I quickly gained it back as soon as we entered the Garden Court and he saw the Capitol Building model; and he now totally understood why I took him to Union Station first as it would have been way more ho hum if we visited after this even if their model train was running. 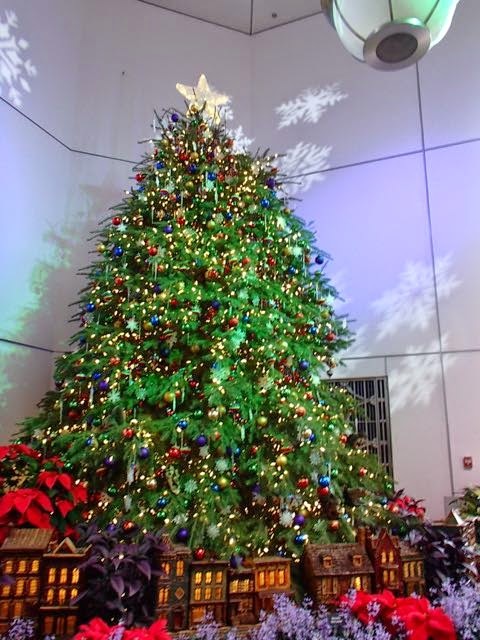 The first area you enter is the Garden Court and they have traffic controlled to go to the right to the Model Train exhibit in the East Gallery. 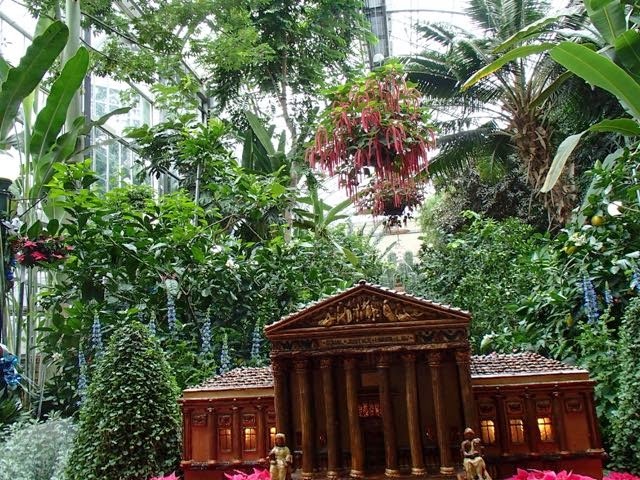 The Garden Court is kind of set up as a miniature National Mall with several building models made of plant materials. Most you can see better when coming back around to the Garden Court before exiting; but the Supreme Court one is along the one way path into the Model Train exhibit. 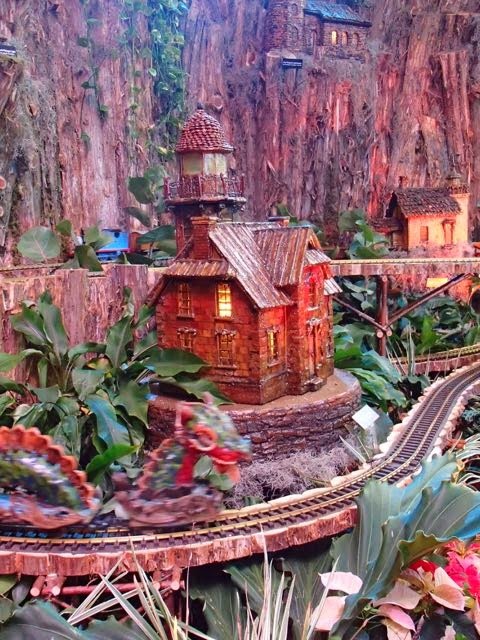 This year's theme for the Model Train exhibit is the Seven Seas. Mik absolutely loved this area, which reminded him a little of the Mini Time Machine Museum of Miniatures in Tucson (one of his favorite museums ever as a miniature lover). He enjoyed looking at the various lighthouse models as well as the ships. 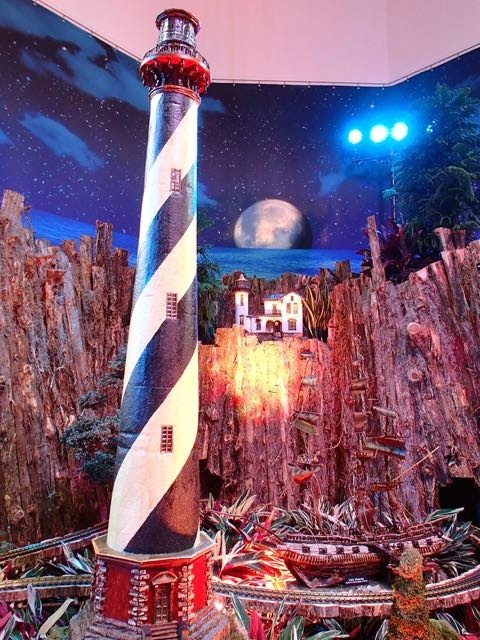 Mik choose the Block Island Southeast Lighthouse as his favorite model. 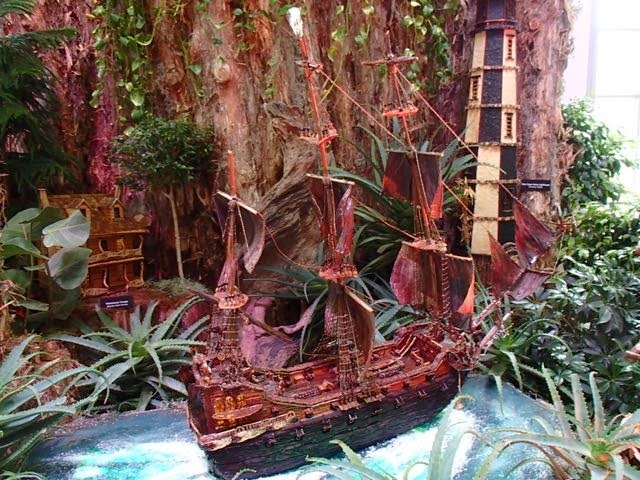 For the ship models his favorite was, of course, Blackbeard's Queen Anne's Revenge. The trains were okay. The whole Thomas the Train thing is little too on the kiddie side and the more realistic trains are up high and thus a little hard to really enjoy. However, we did find the dragon one to be a cool and surprising part of the exhibit. Near the exit there is a tunnel to go through that has little displays like you're under the sea. They seem to represent 20,000 Leagues Under the Sea. 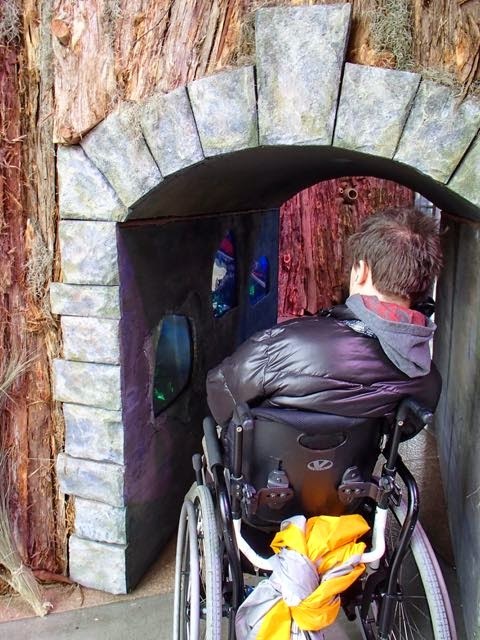 Mik was glad we decided on the manual chair today not only because he could really enjoy the exhibit and not worry about maneuvering around all the little kids; but also because he wouldn't have probably been too tall to do the tunnel part in it. Before heading back to the Garden Court to see the rest of the D.C. landmark models we wandered through parts of the rest of the Botanic Garden including visiting the desert area where Mik declared he loves the fuzzy cacti the most; but as an Arizona boy he would never dare get anywhere near too close to any cacti no matter how snuggy they look. 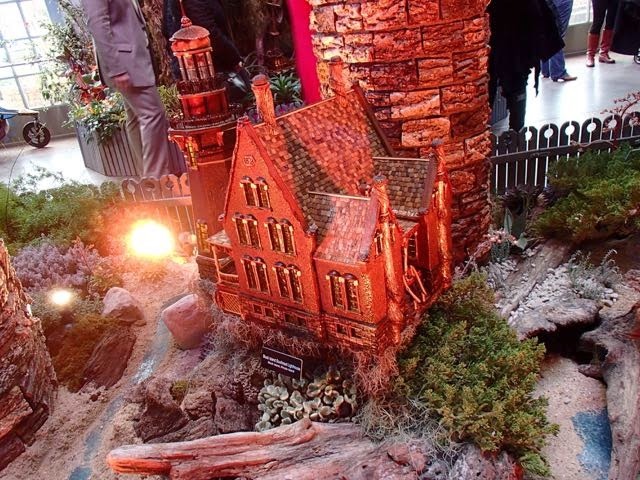 We also visited the West Gallery where there is a large Christmas tree decorated, which includes some more miniature buildings and a train going around it. We didn't stay here long since a bunch of little kids were playing and having fun in here and Mik didn't like the loudness that resulted from that. Final area to explore was the Garden Court where I had to show Mik the White House model to show him how ridiculous it was that he called the Capitol model the White House when we first entered the Botanic Garden. 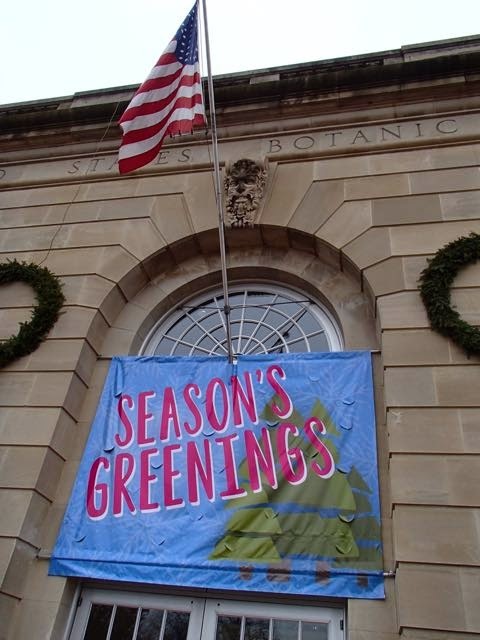 By the way he had kind of already realized was a very silly thing to have said as the Botanic Garden is right next to the Capitol and we were talking about it being ugly with the scaffolding before we entered the Botanic Garden and saw the model. 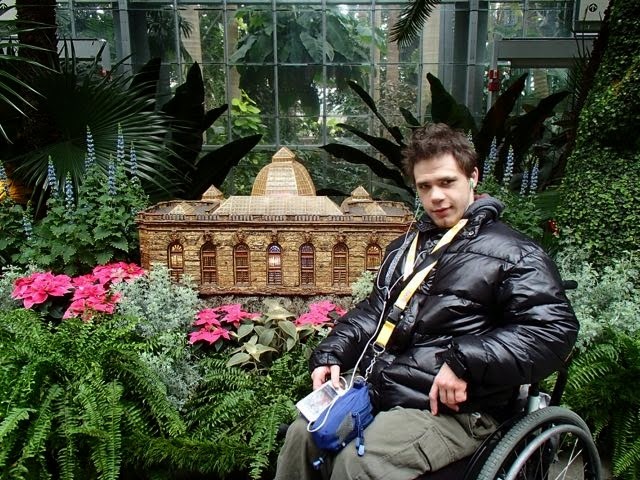 When we first got to the Botanic Garden he had wanted to do a photo in front of the Capitol model when we got around to the front of it before leaving. However, as we were about to do that I pointed out the Botanic Garden model and he decided that made more sense.